There’s no doubt Eric Larsen has seen some hard times. In his 40 years, the polar explorer has biked across America, climbed Denali and mushed dogsleds over Canada’s frozen tundra. 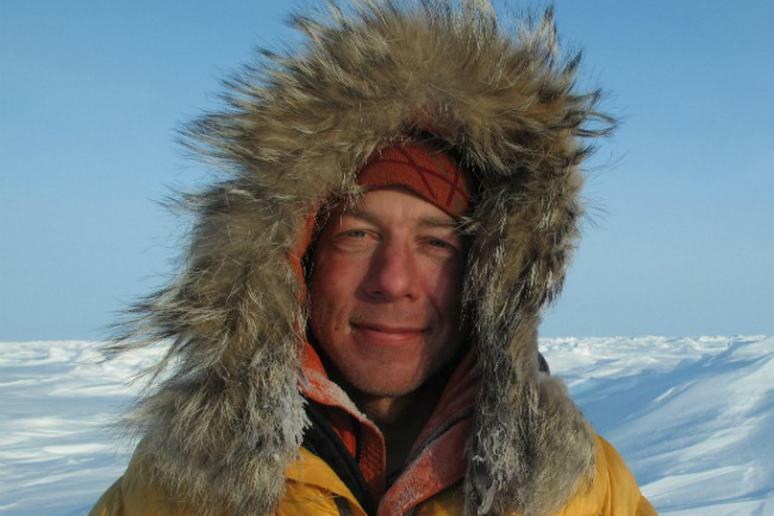 Then, from 2009 to 2010, he became the first person ever to complete self-propelled expeditions to the so-called “three poles”—North Pole, South Pole and Mt. Everest—in a single year (that’s 365 days). He’s waited out blizzards, faced down polar bears, soft-footed over thin ice, and wrestled with creeping insanity in some of the world’s most unforgiving terrain. But his biggest challenge to date, perhaps, was passing the time during a six-day stint weather watching in the Antarctic this past December. That’s right—weather watching (“Base to eagle; it’s cold and, well, white. Over.”). Stationed alone in the Thiel Mountains, hundreds of miles from anywhere, Larsen’s job was to issue hourly weather reports to planes flying back and forth between the South Pole and Union Glacier Camp. For our money, Galifianakis is funnier, but this isn’t bad for a slow afternoon. And, anyway, Larsen’s not giving up his explorer day job (which, for our money, is way cooler than Galifianakis’ job). He did write us today from Canada’s Hudson Bay, though, saying that more episodes are on the way. In the meantime, look for his forthcoming documentary, Colder, which tells the story of his record-setting Save the Poles journey.